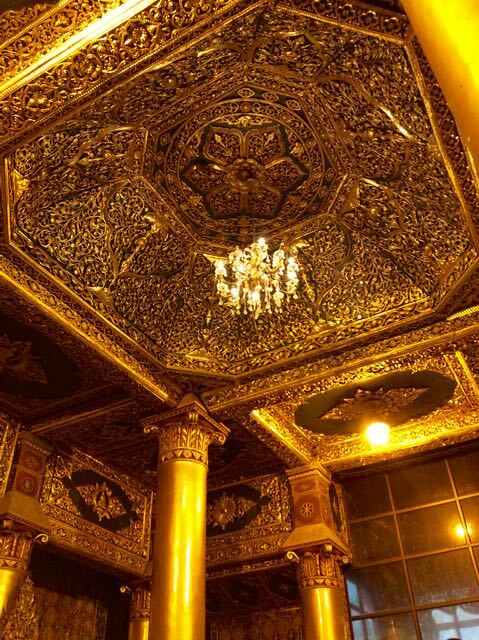 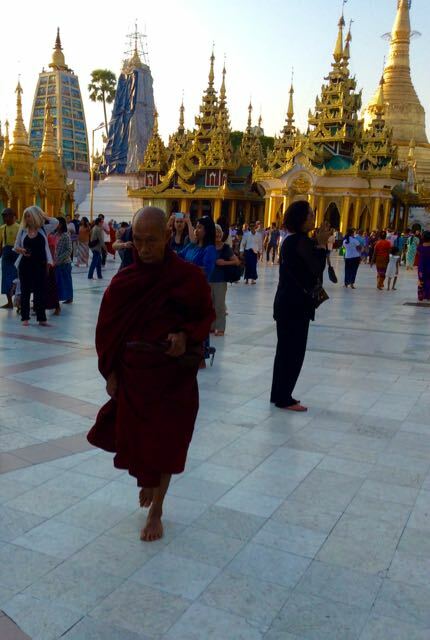 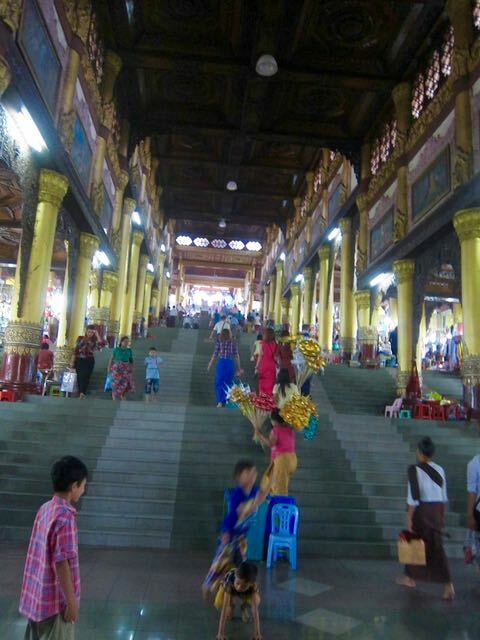 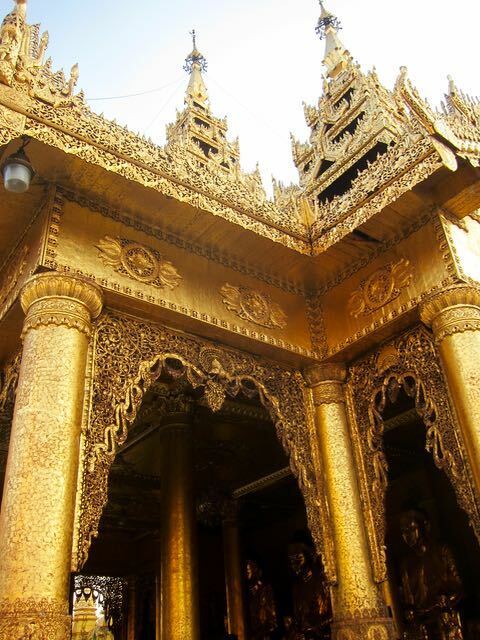 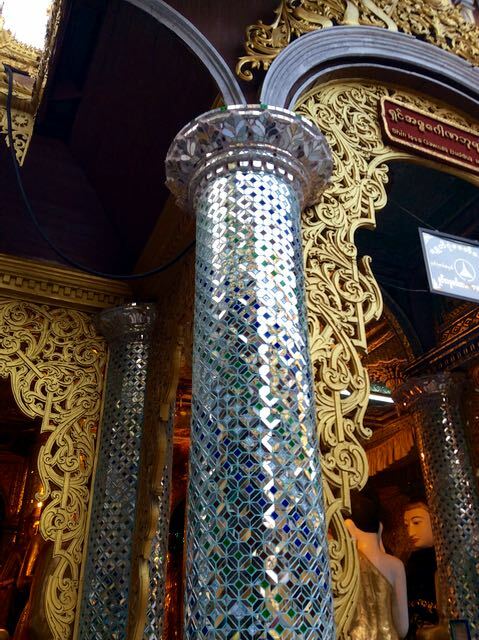 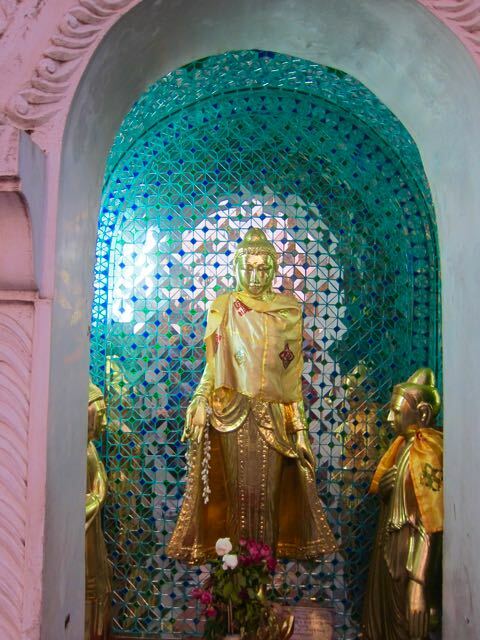 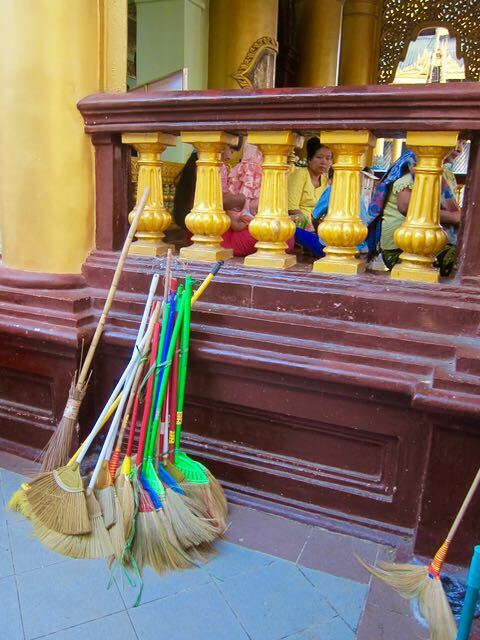 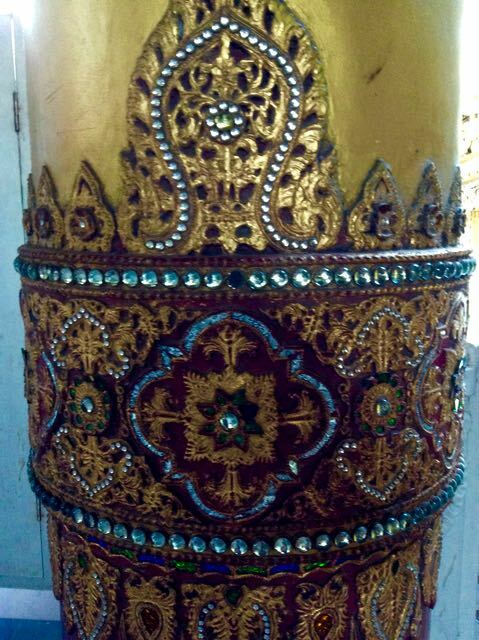 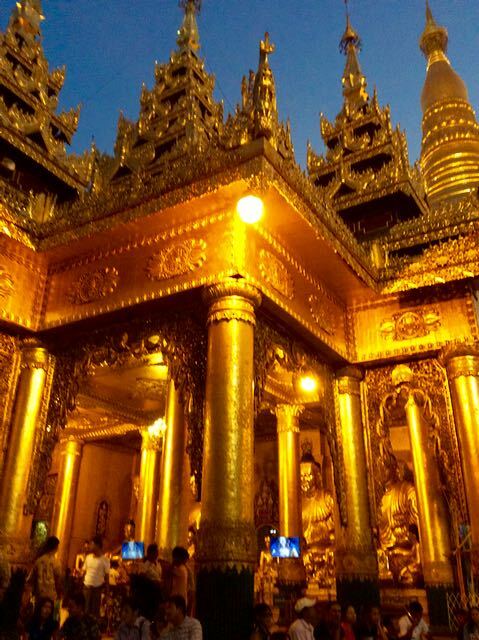 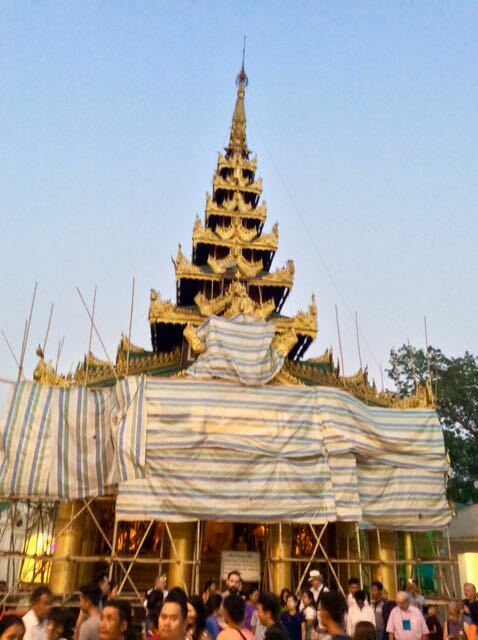 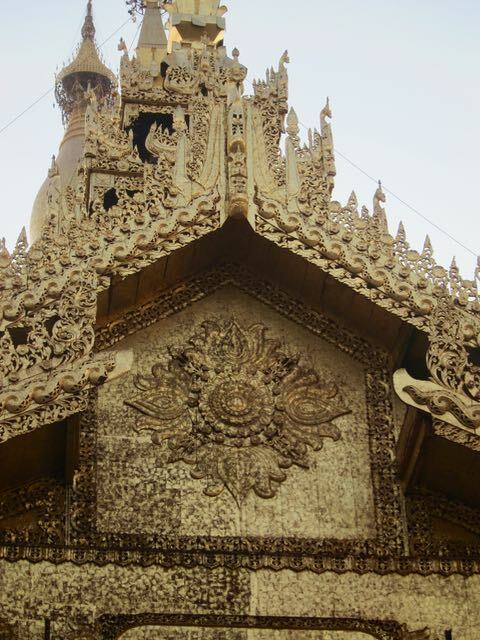 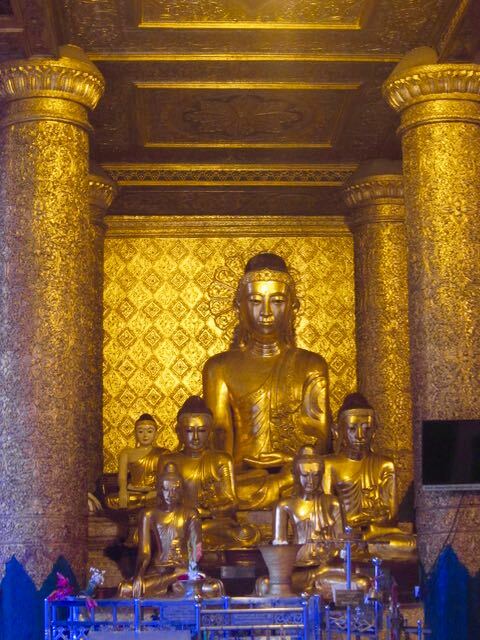 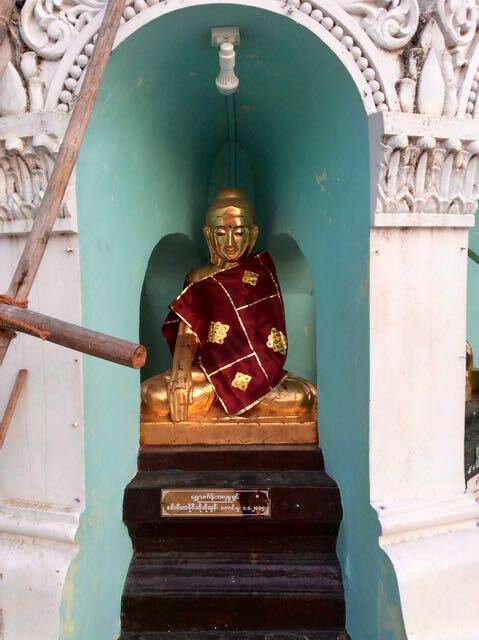 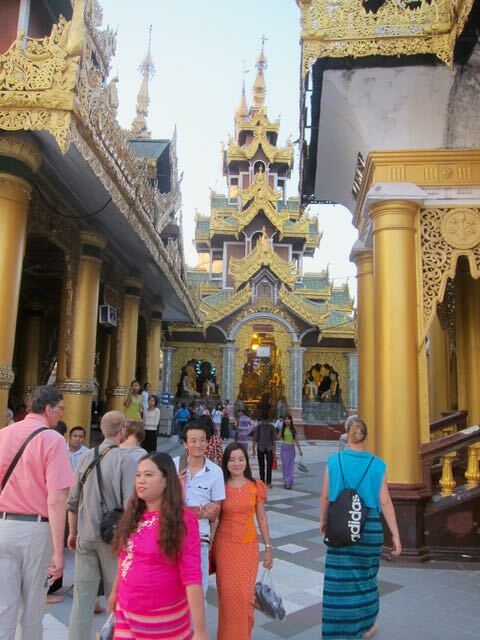 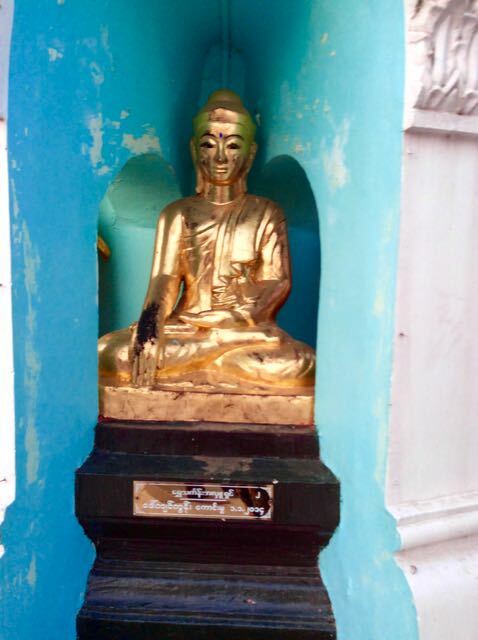 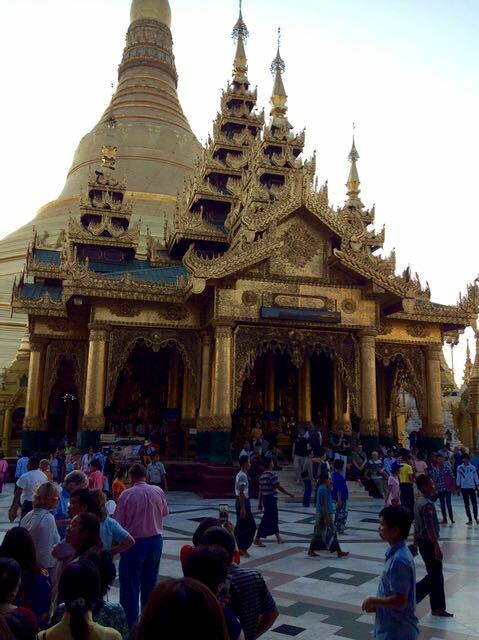 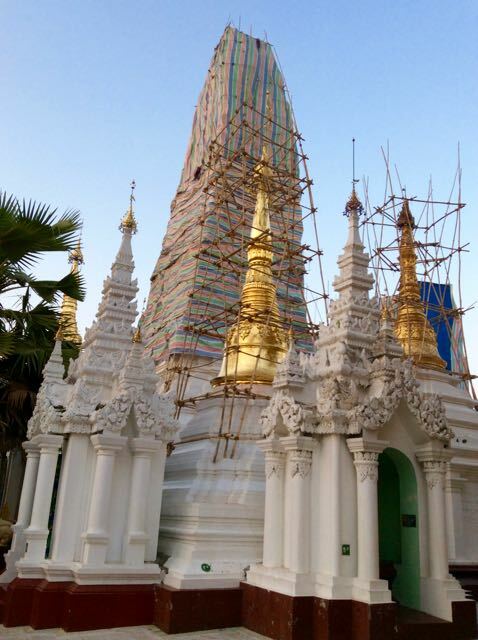 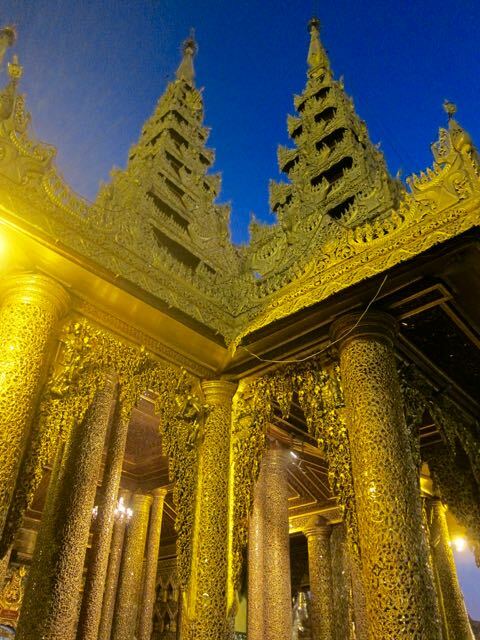 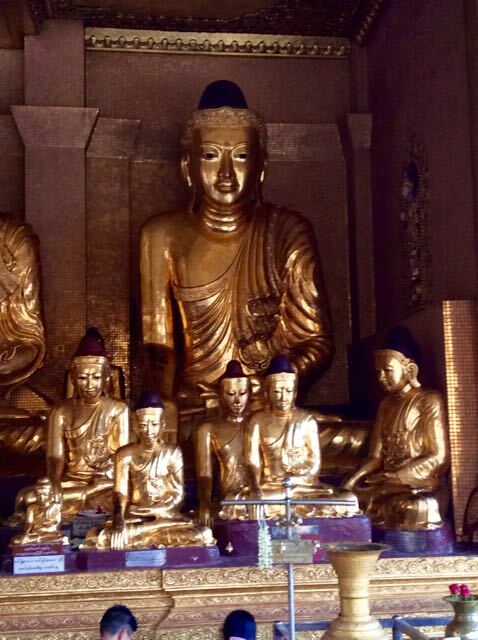 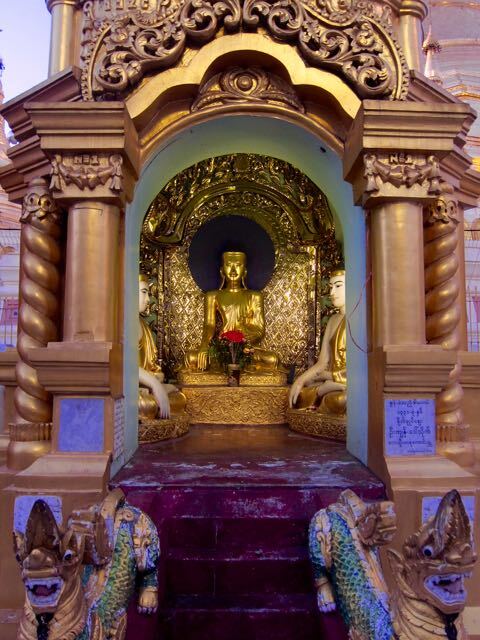 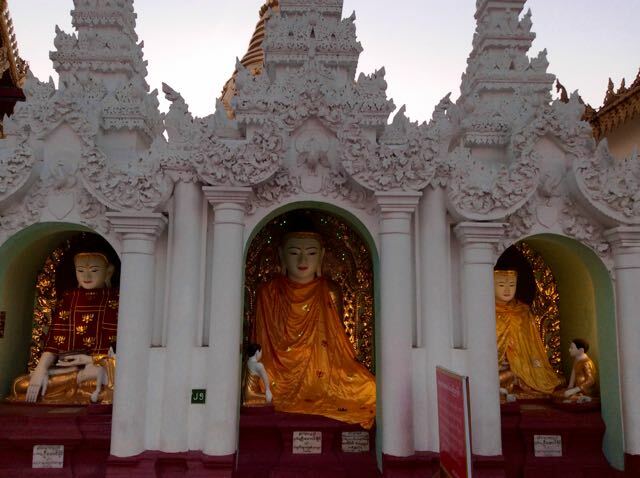 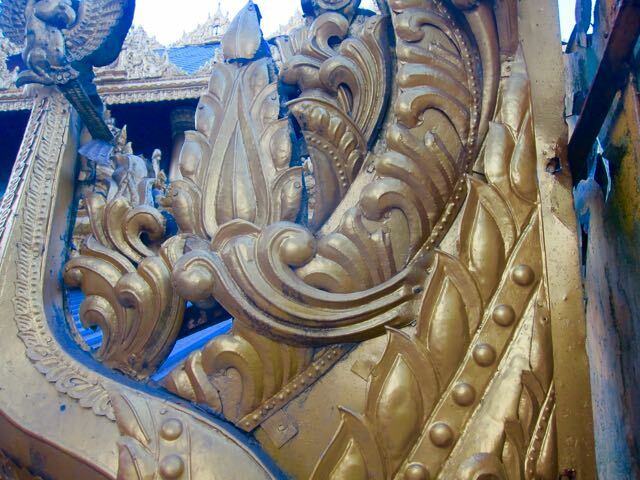 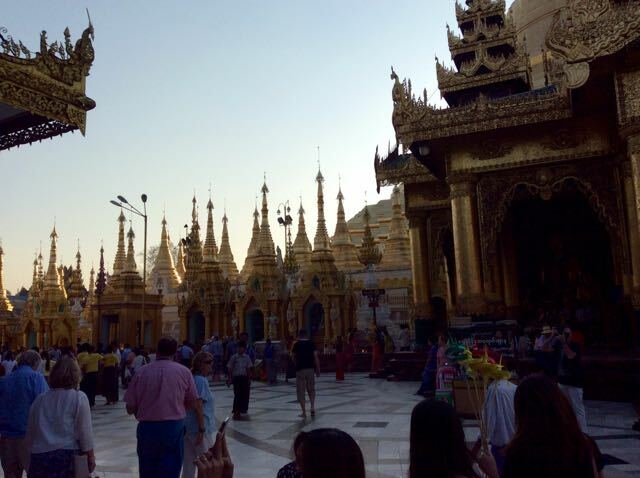 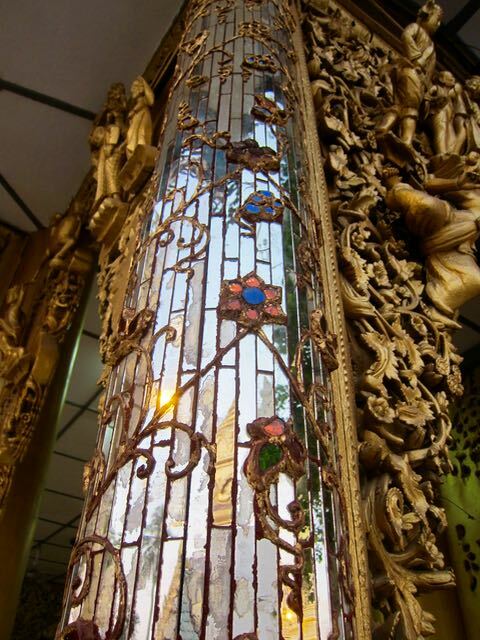 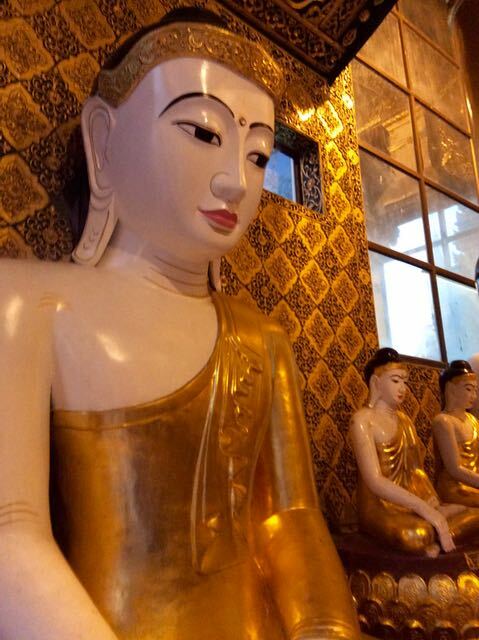 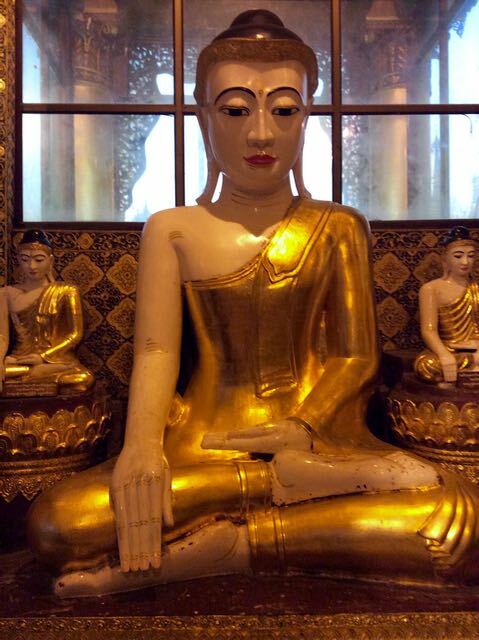 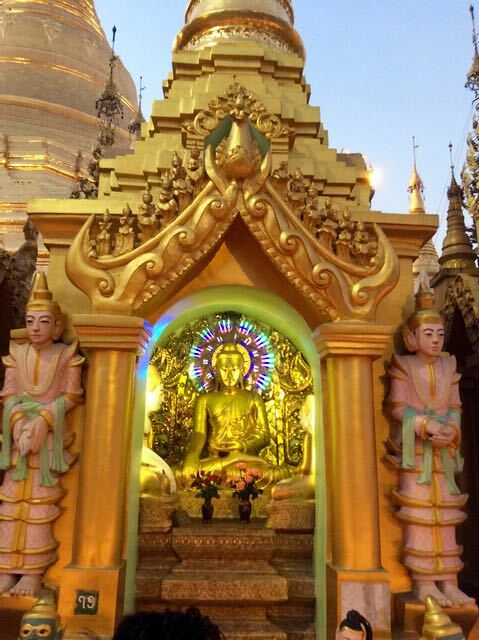 nic-nak castle: Shwedagon-The Golden Pagoda. 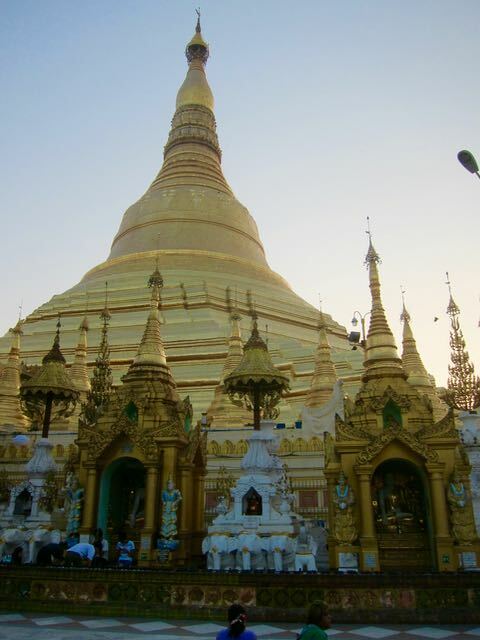 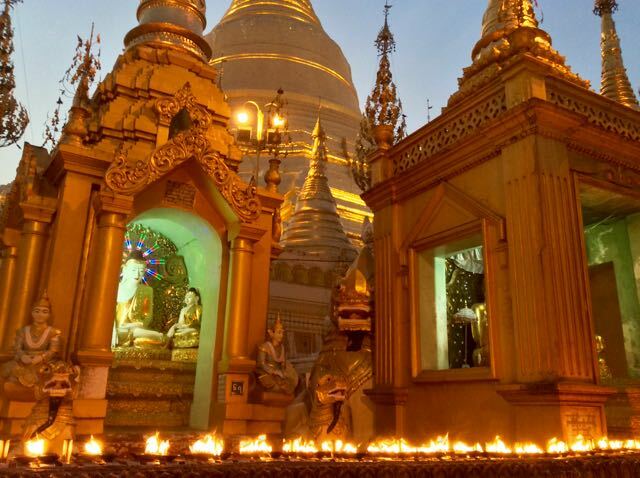 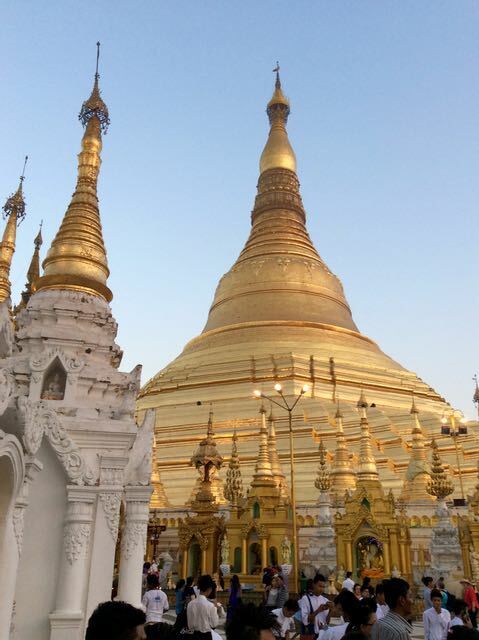 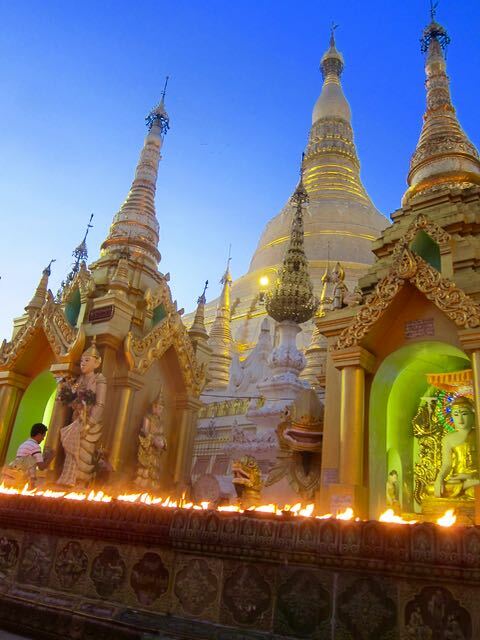 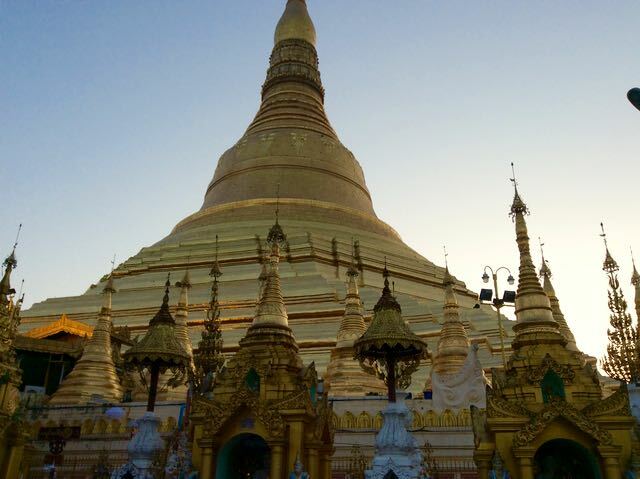 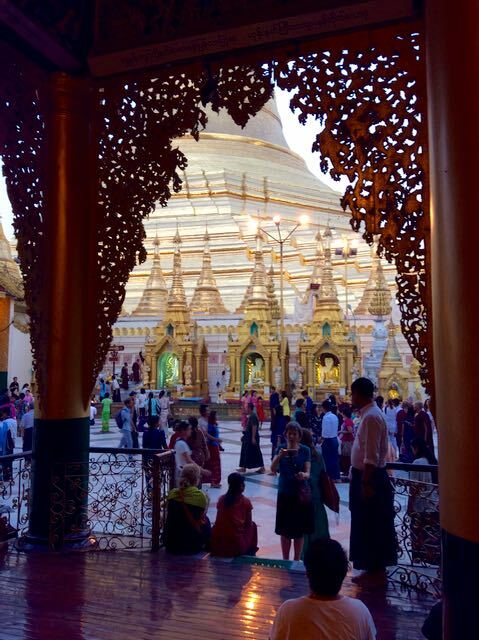 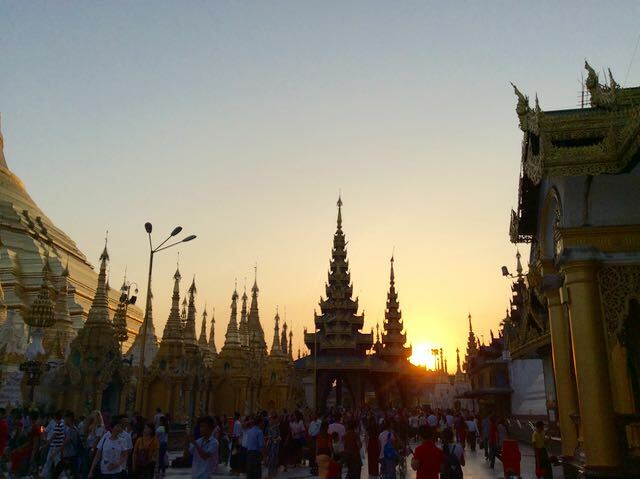 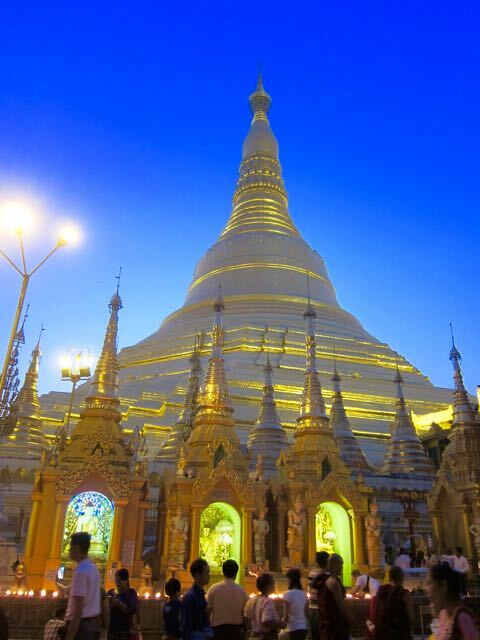 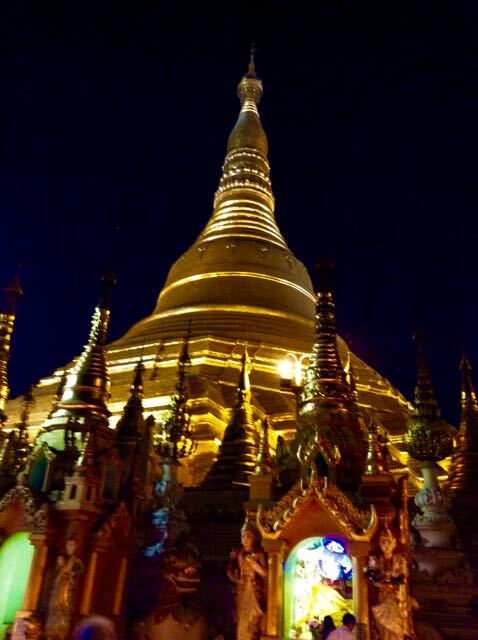 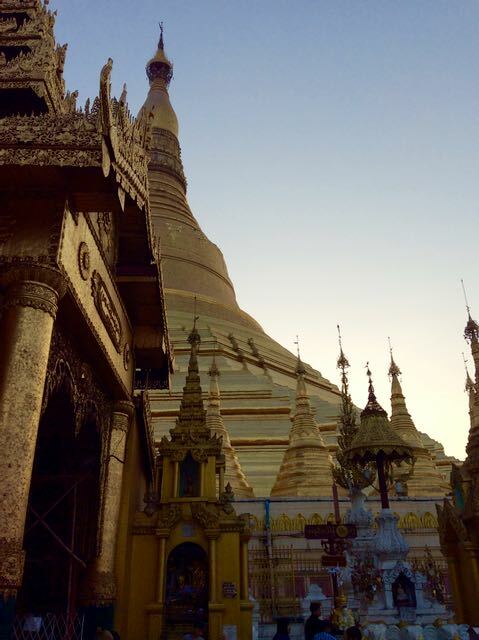 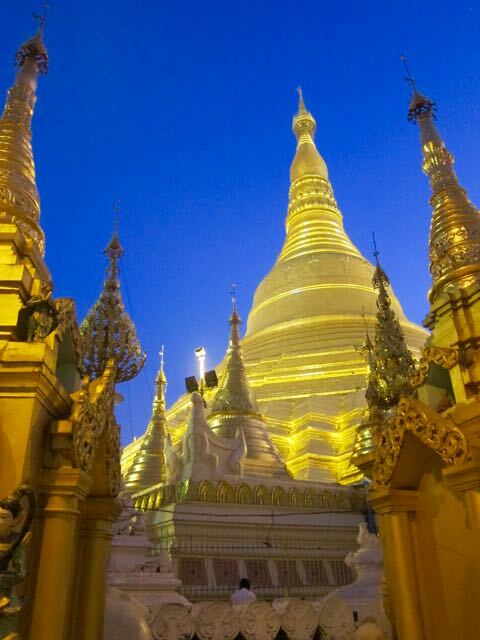 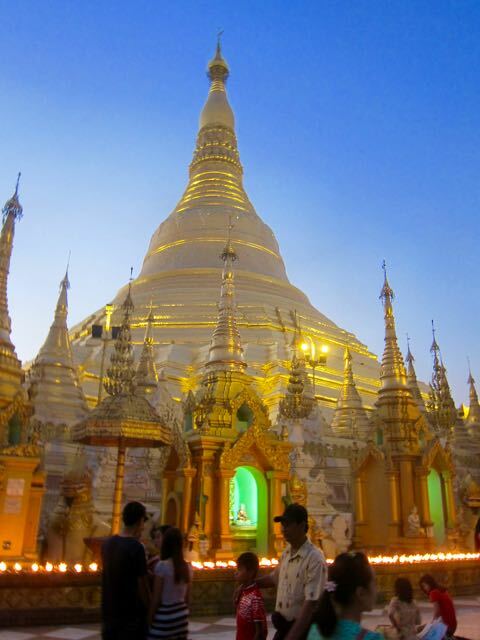 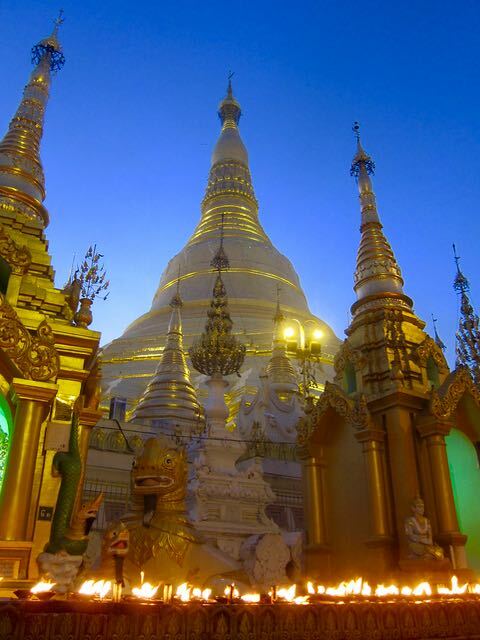 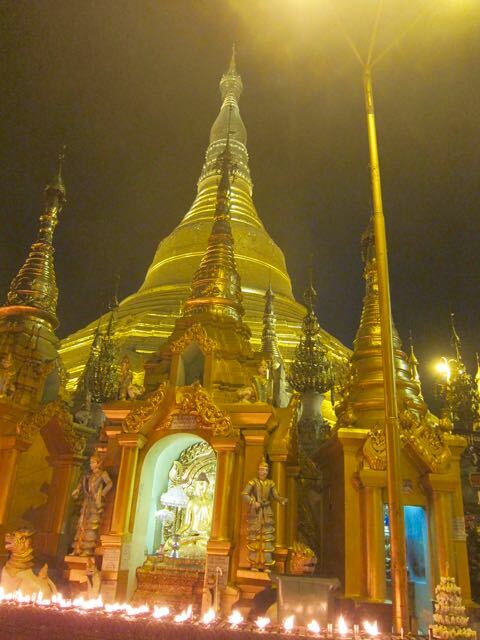 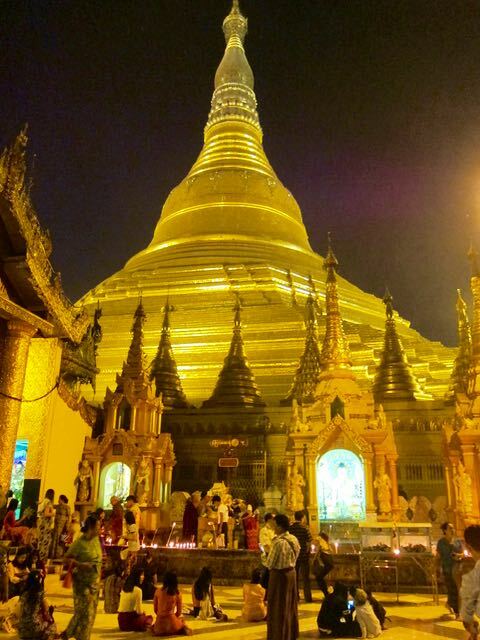 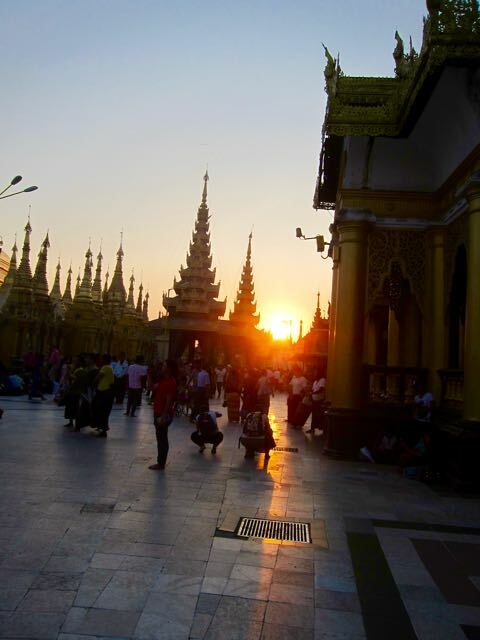 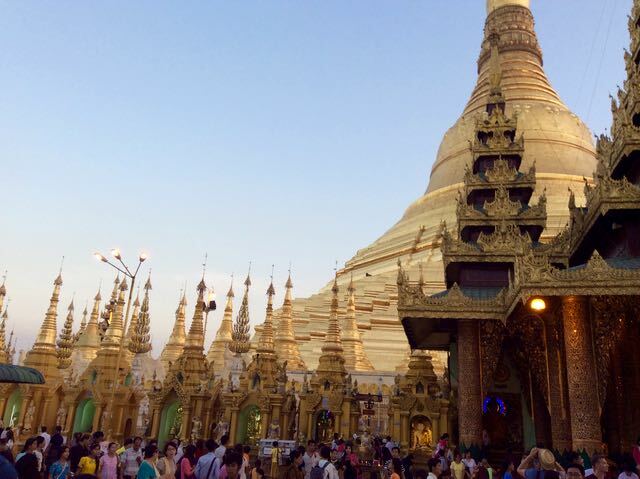 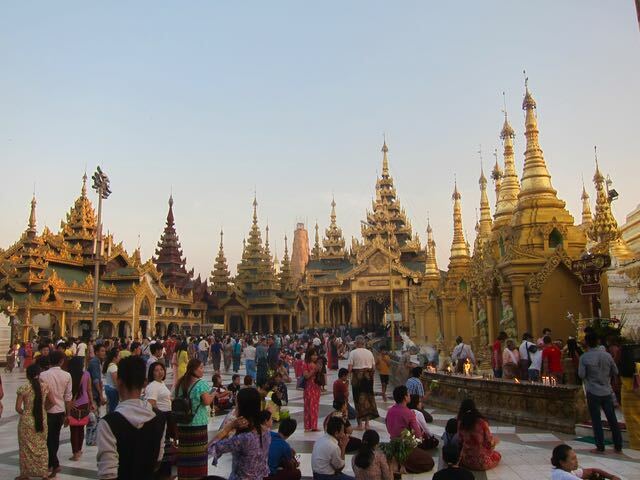 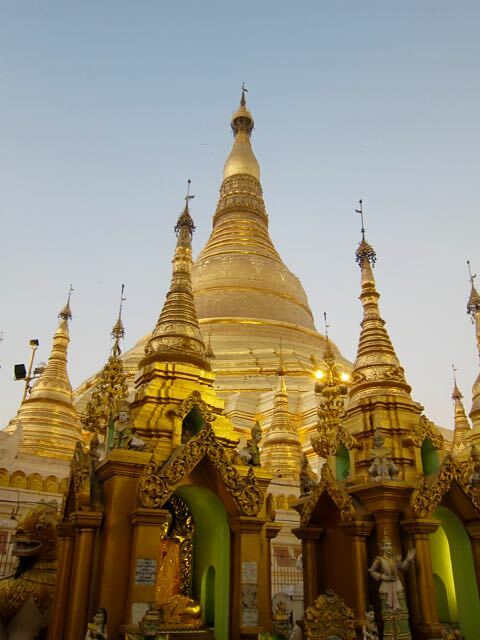 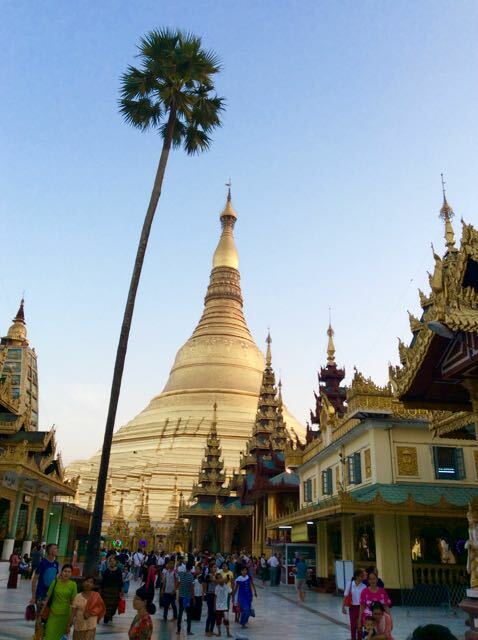 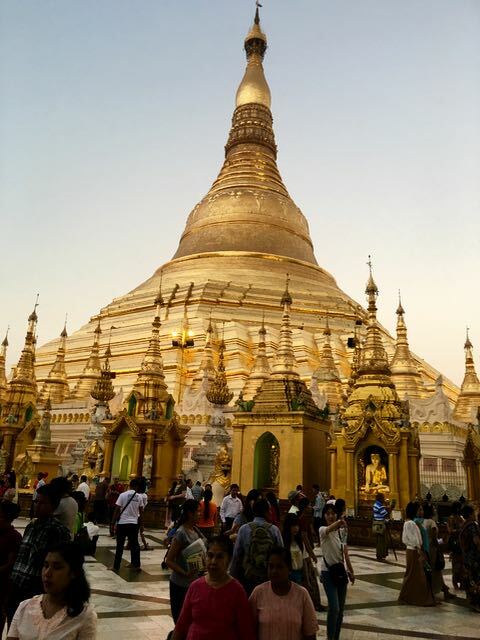 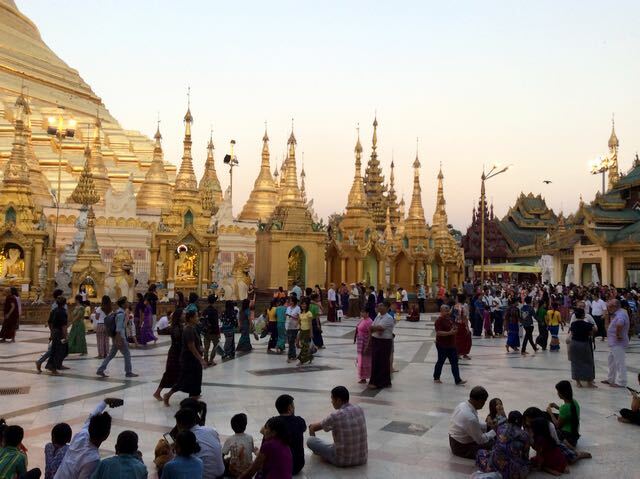 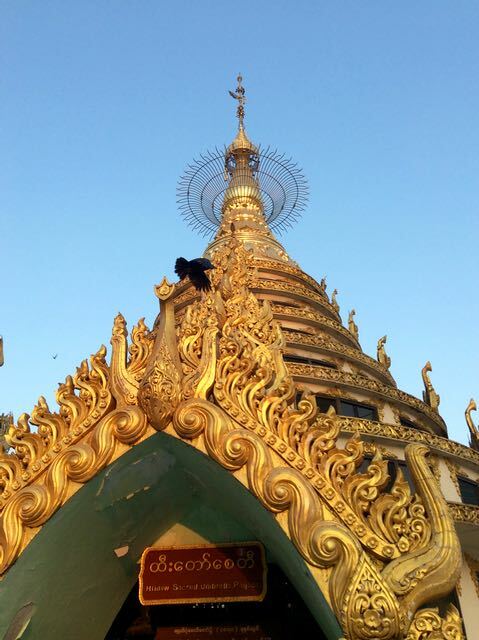 The Shwedagon or Golden Pagoda on Singutarra Hill is a brilliant beacon on the Yangon skyline. 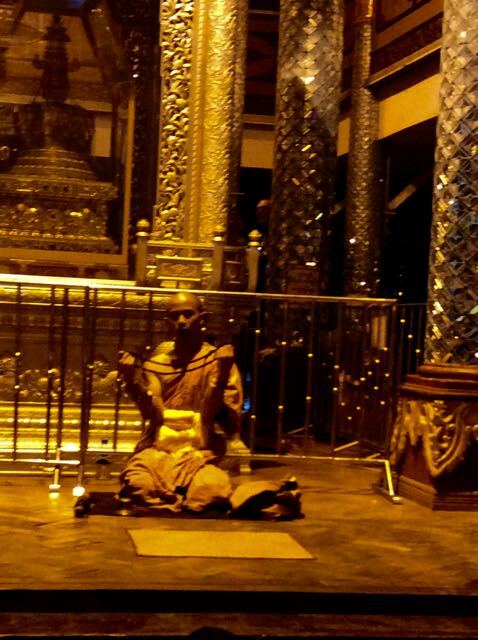 We took a visit on a warm and calm Sunday evening when about half of the population seemed to be there as well. 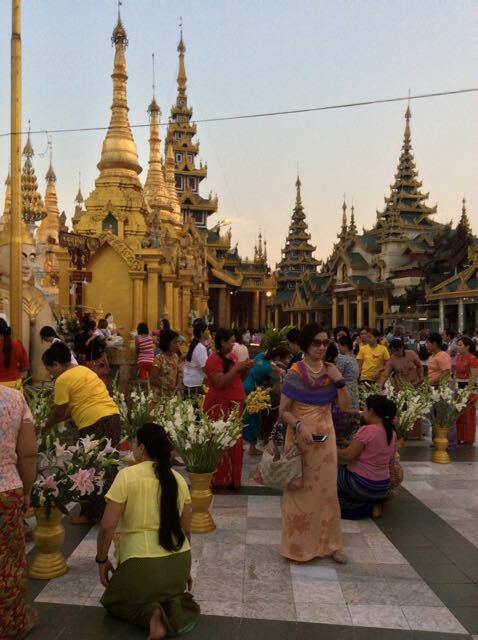 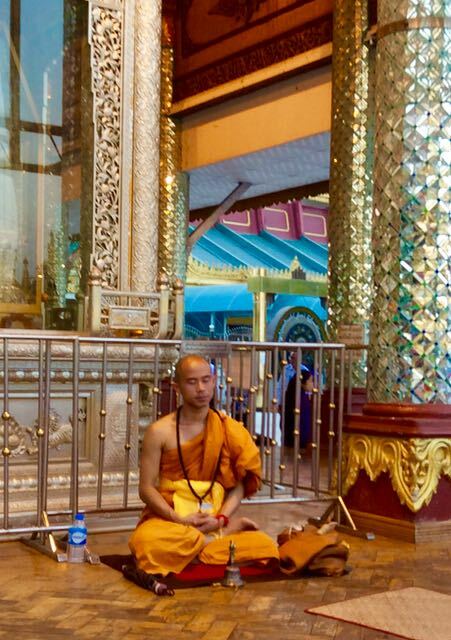 The grounds and forecourt hummed with chatter and prayer, the air filled with the scent of the many flowers being offered and the smoky sweetness of incense burning. 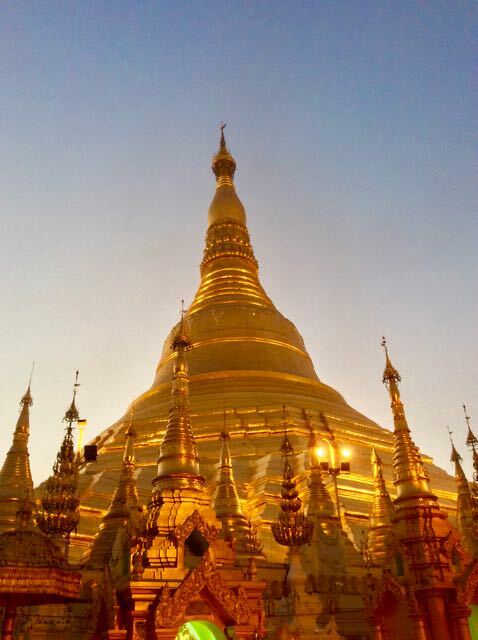 Even with such a crowd there was a beautiful serenity and we marvelled as the sun descended for the day and the Stupa gleamed in the twilight of a perfect Myanmar evening. 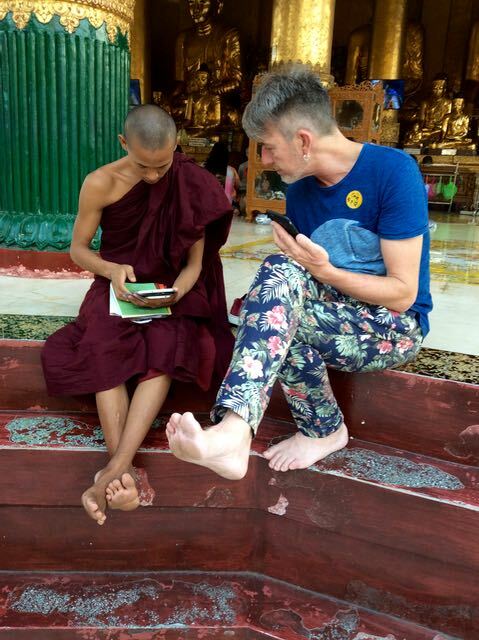 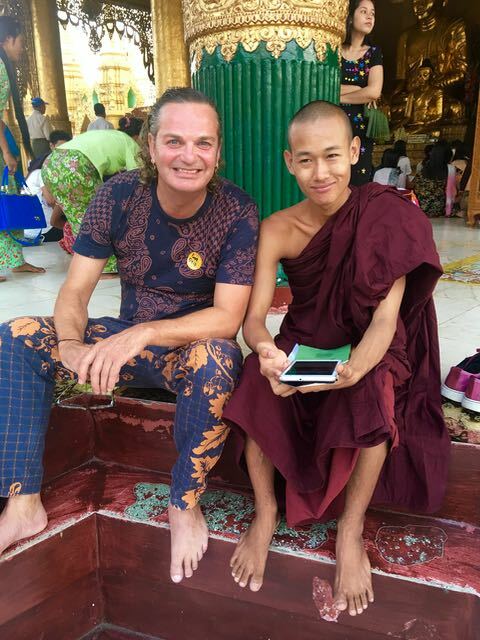 Taking time out with a new found friend, Naing Win, to learn a little of his life, but spiritual and digital. 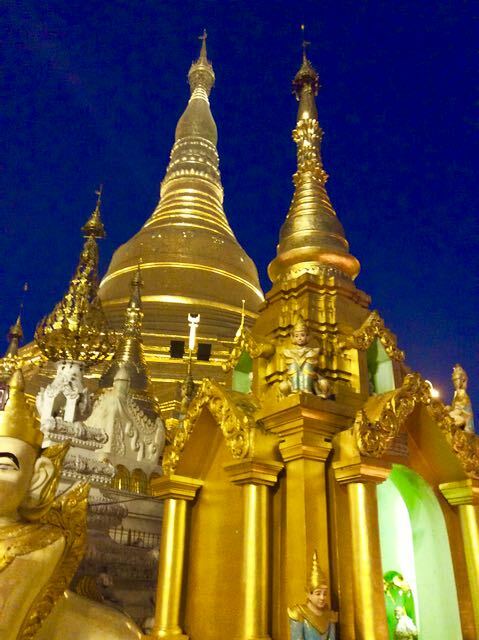 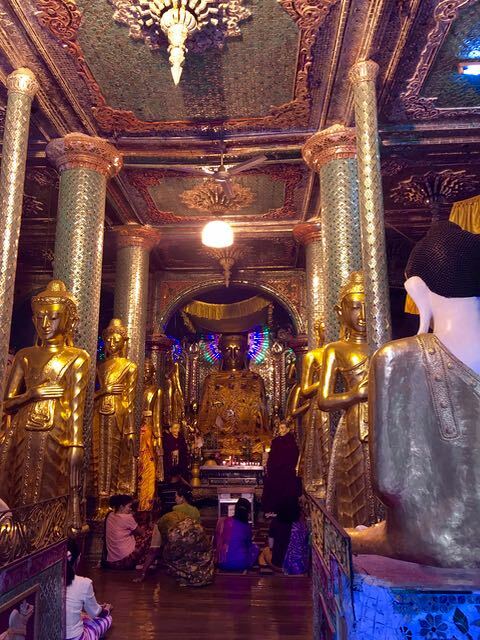 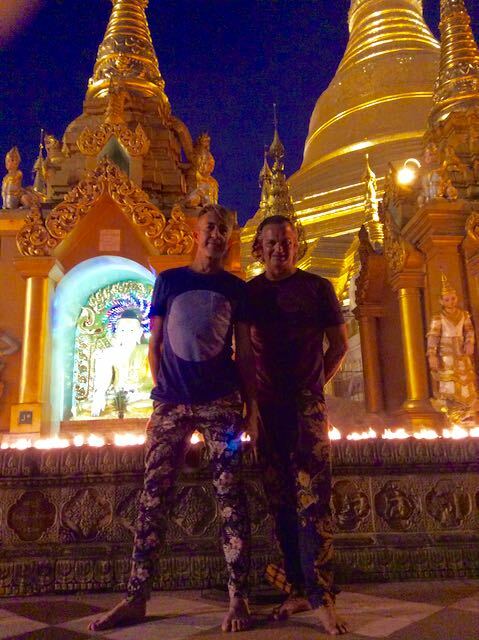 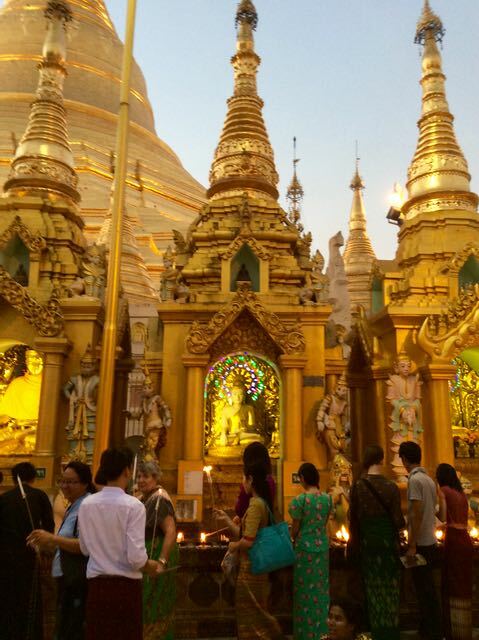 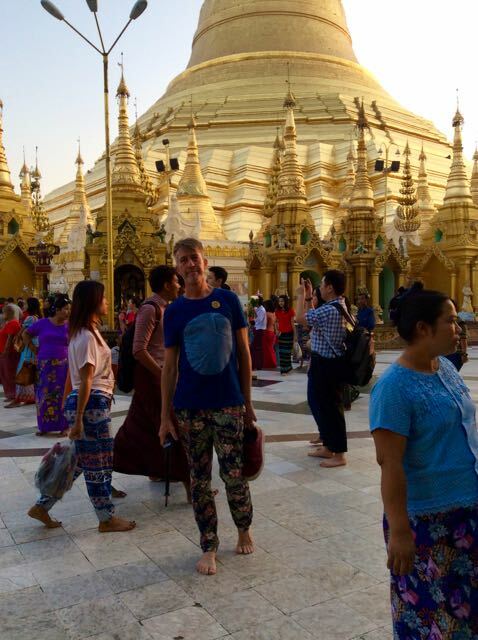 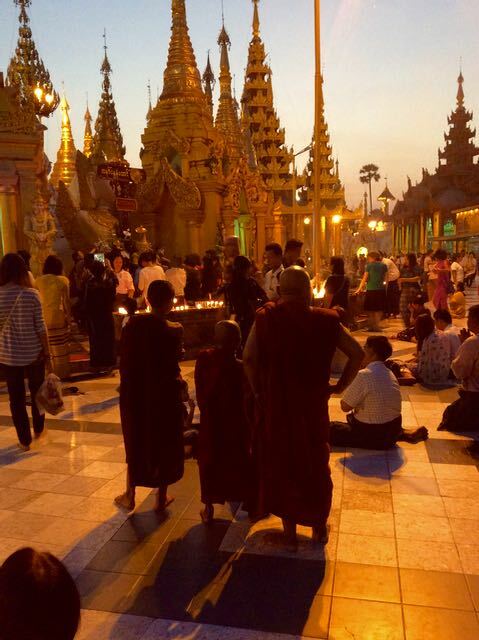 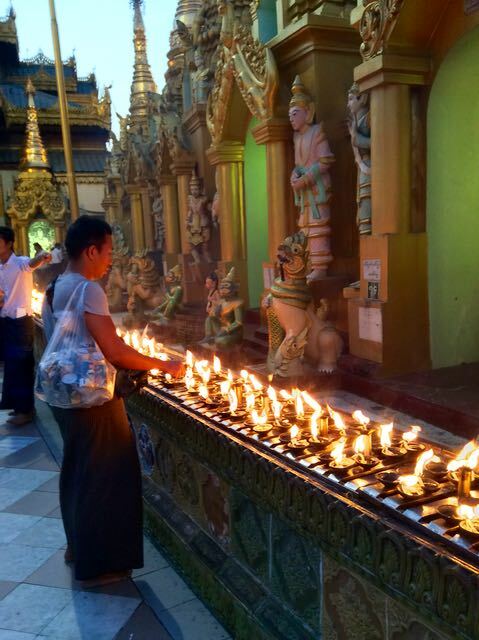 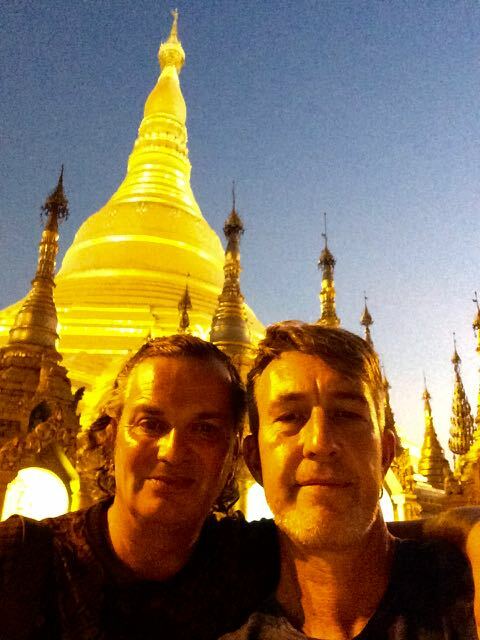 Such a magical place and a wonderful way to spend an evening mingling with the locals of Yangon.